It’s crazy to think just how popular Beats by Dr. Dre Headphones have gotten just in the last three years. The best part about owning a pair of these is they’re valuable, and are continuing to hold their valuable for years to come. If you need fast cash, you can pawn Beats by Dr. Dre quickly, and in minutes, to get fast cash. This is done via a pawn loan, and we just hold on to your Beats for 90 days, or until you can come and pay us the money back. While reading this if you’re thinking to yourself that 90 days simply isn’t long enough, then there’s no reason to fret, if at the end of the 90 days you don’t have the full principal balance we lent you, you can simply pay the interest and we’ll give you another 90 days. We’re here to help, not to hurt. Serving the wonderful areas of Mesa, Chandler, Tempe, and Gilbert, we work hard to ensure you’re getting the fast, easy cash you need for pawning your Beats. 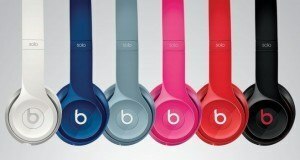 With Beats being the new pinnacle of headphone technology, it’s no wonder that they hold such a high price value. Some sets of Beats headphones can go for multiple hundreds of dollars, and even the older pairs of Beats headphones can still be worth their almost retail price. What this means is that pawning your Beats can still get you a ton of fast cash, while obviously not the retail price, I’m sure it’ll be a lot more than you actually believe you can get. B & B Pawn and Gold makes it our mission to serve our customers meaning we pay the most cash for all of our products to help our customers. What Do I Need to Pawn Beats? We don’t really need too many items, obviously just the Beats headphones and the power cord / headphone jack obviously, but there are other factors that can put more cash in your hand. One of these most important factors is the original box and paperwork that came with the headphones. Having the box sounds like a small deal, and you’re probably wondering why we would pay more for cardboard, right? Put yourself in a buyer’s shoes — I’m sure every single one of us can quickly agree that we’d much rather have the original box if we were about to buy an expensive pair of headphones. While obviously we’re not planning to sell your headphones since they’ll be under a pawn loan, if we are forced to to cover your loan it’ll help us get the money back, and gets you more money from the beginning.